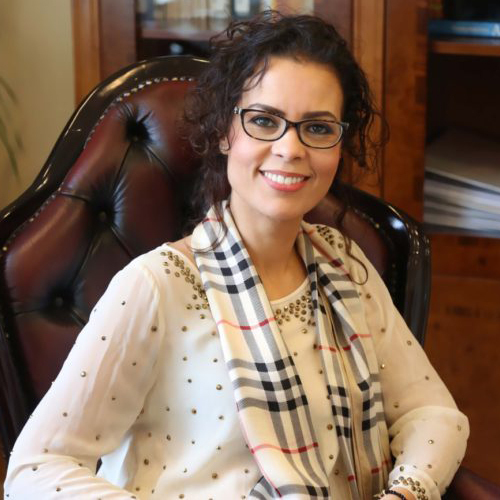 Dr. Ismahane Elouafi has been consistently ranked amongst the 20 Most Inﬂuential Women in Science in the Islamic World*, and is a visionary leader and strategic thinker, highly adept as a transformational groundbreaker, delivering comprehensive stakeholder engagement as a change management champion, motivator, and relationship builder. With global experience in not-for-profit research organizations and government agencies, Ismahane is multi-lingual with proficiency in the Arabic, English, French, and Spanish languages and operates as a positive and energetic senior executive, able to motivate individuals achieve a shared mission and comprehensive corporate and research objectives. Ismahane’s immense capability has been well evidenced in her current role as Director General with the International Center for Biosaline Agriculture, where she was selected to steer the organization with robust fiscal and process control, providing direct focus upon non-core funding growth, driving an expanded mandate, and supporting reputational growth as a Center of Excellence for Research and Development in marginal environments. Ismahane’s contributions to the scientific world have been recognized with the National Reward Medal by His Majesty Mohamed VI, the King of Morocco (2014), and the excellence in Science award from the Global Thinkers Forum (2014).